It's very tough to find a restaurant that has beautifully cooked, quality steak that isn't too heavy on the pocket. On one hand, there are a few budget steak options where you can spend less than 500 pesos for a nice meal, but if you're looking for quality more often than not it's highway robbery as you part from a few thousands of pesos in some of Manila's top steakhouses. Good thing restaurants like Vittorio's Steakhouse is around to serve some quality steak that's pretty affordable. 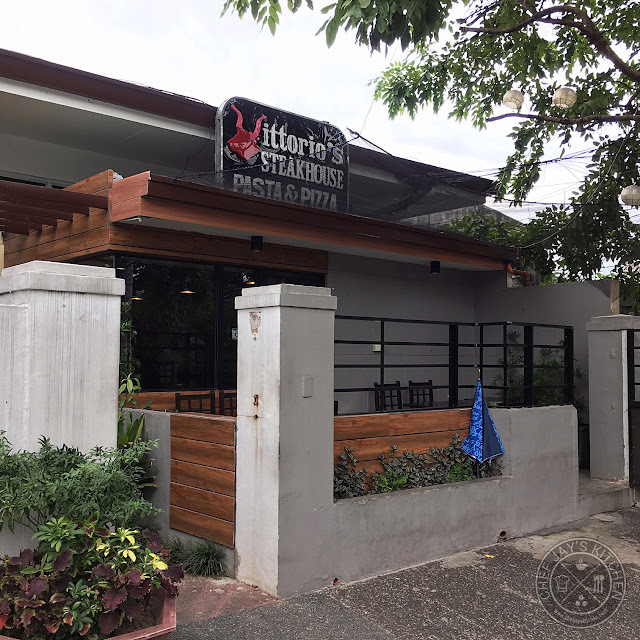 Vittorio's Steakhouse is located at Scout Borromeo Street in Tomas Morato and is quite close to ABS-CBN. From the outside, the place looks more like a house than a restaurant. Little do people know that amazing food can be found as you walk through those doors. Don't get me wrong, the steaks are not cheap but for the quality that you're getting it's definitely worth every peso. Vittorio's Steakhouse has beautiful interiors that make it a nice spot for a very casual date. 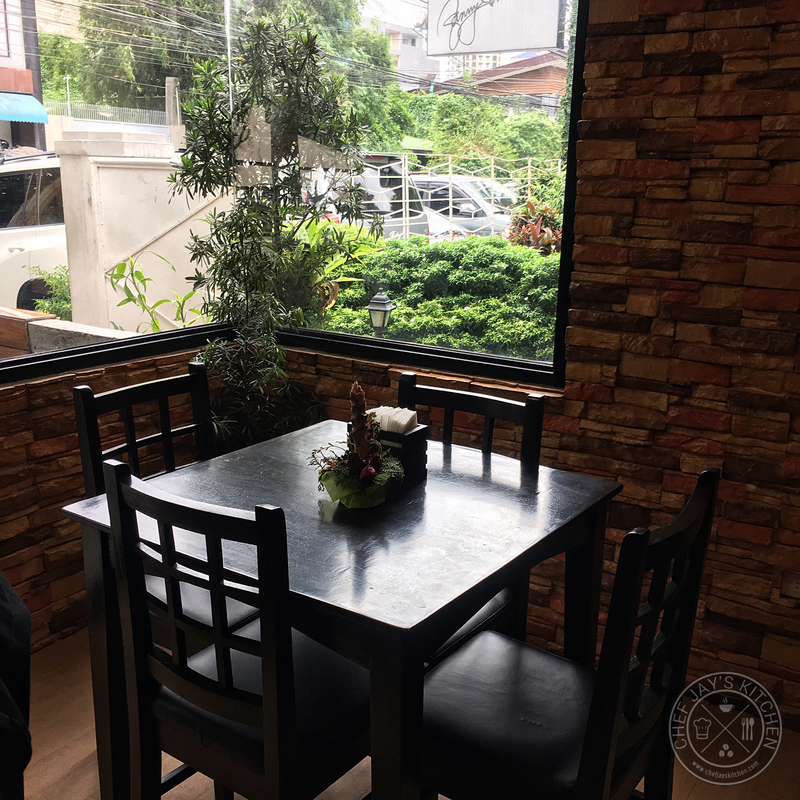 The restaurant's does not feel too fancy, but rather has a very homey feel that makes it perfect for sitting back and enjoying good food. We went for lunch and the restaurant wasn't too crowded on Saturday. 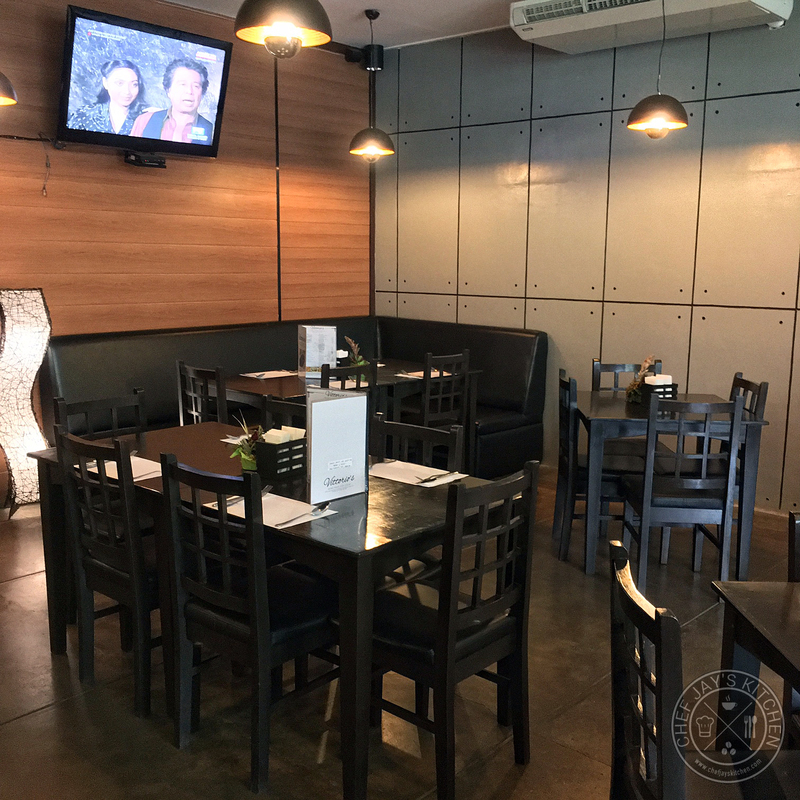 The restaurant was also quite spacious and I can imaging it would be nice to unwind here on evenings - enjoying a bottle of beer with friends. I think you can rent out the place for a private event if you want to. The Chop Noodles with Miso Dressing (Php 199) was a refreshing balance of sweet and sour. 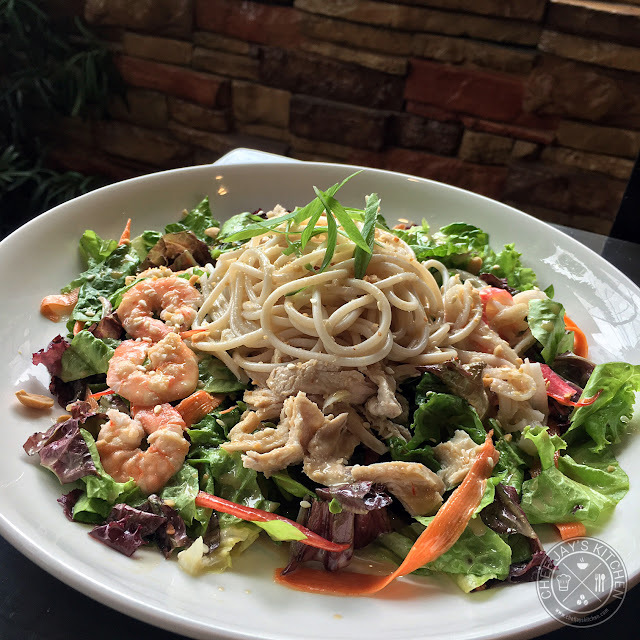 The salad was topped with a generous amount of shrimps, chicken, kani, along with some peanuts for a bit of crunch on a bed of noodles and mixed salad greens that's drizzled with a tasty miso dressing. It's quite a generous serving and it's a tasty salad inspired by a Japanese favorite. Shrimps are my favorite seafood and Vittorio's Butter Garlic Shrimp (Php 270) is absolutely delicious. These pieces of shrimp were beautifully cooked to perfection - still quite juicy and bursting with flavor in each bite. With shrimp this tasty I would have to say it's a dish I'd come back for. 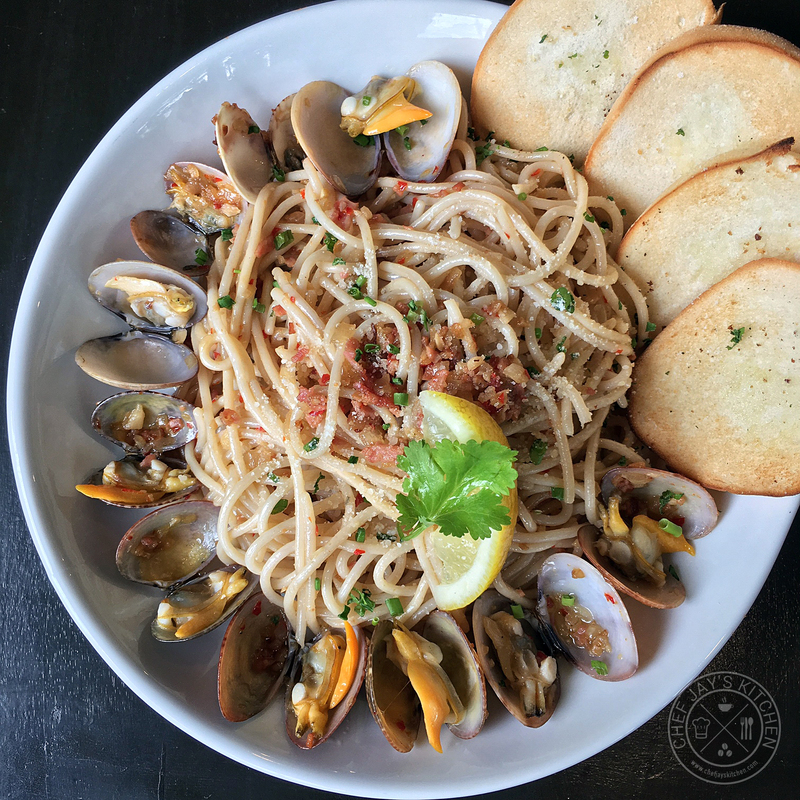 The Clams Pasta (Php 285) is another Vittorio's favorite, and for good reason. The pasta had a delicious balance of garlic and clams and was a refreshing taste of the sea. If you're familiar with spaghetti vongole I think this is their take on that delicious seafood pasta dish. 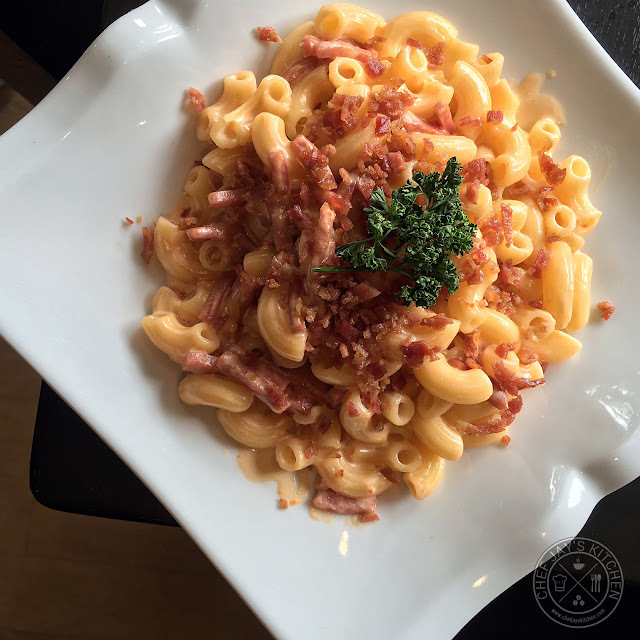 The Mac and Cheese (Php 175) may be on their kids menu, but this rich, bacon-filled dish is one that even adults will crave for. It's oozing with cheese and has just the right amount of richness. Loved it! 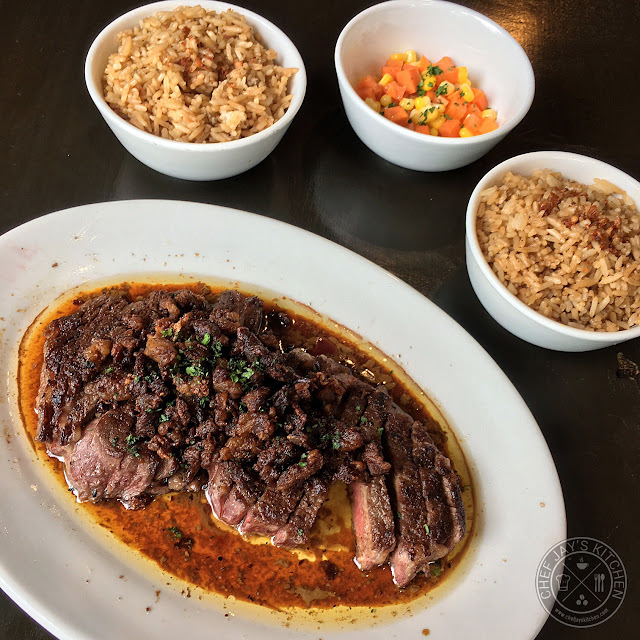 Vittorio's 660g USDA CAB Ribeye Steak (Php 2050) is certainly a steal! If you order a 2,000 peso steak in Makati or Bonifacio Global City steakhouses, you will only be getting steak that's less than half the size (200-300g) of what you'd otherwise get at Vittorio's. If you're looking for value-for-money steaks that's beautifully cooked just the way you want it then I'm certain you won't be disappointed here. If you're really hungry or if you're with a big crowd, you could order Vittorio's Tomahawk Steak (1.4kg) for only Php 3280. Now that's an even bigger bargain! 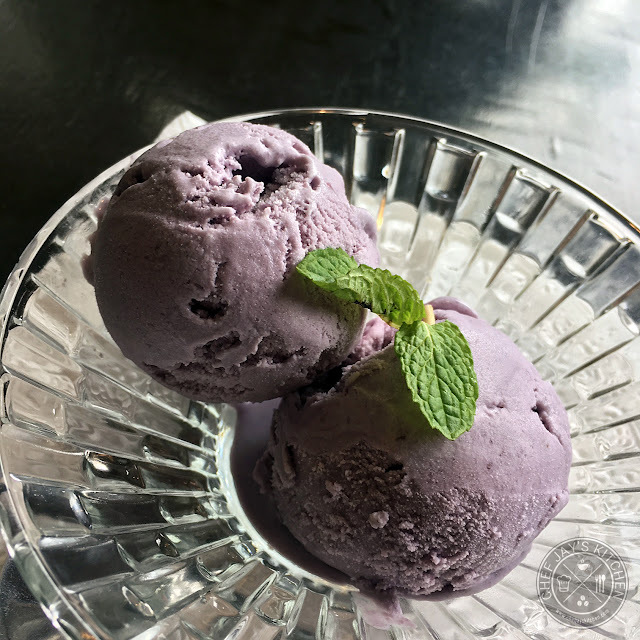 The Good Shepherd Ube Ice Cream (Php 140) was so rich and creamy that I already have plans of making Ube ice cream as good as this myself at home. If you're a fan of eating Ube Jam straight from the jar then you're sure to love this. 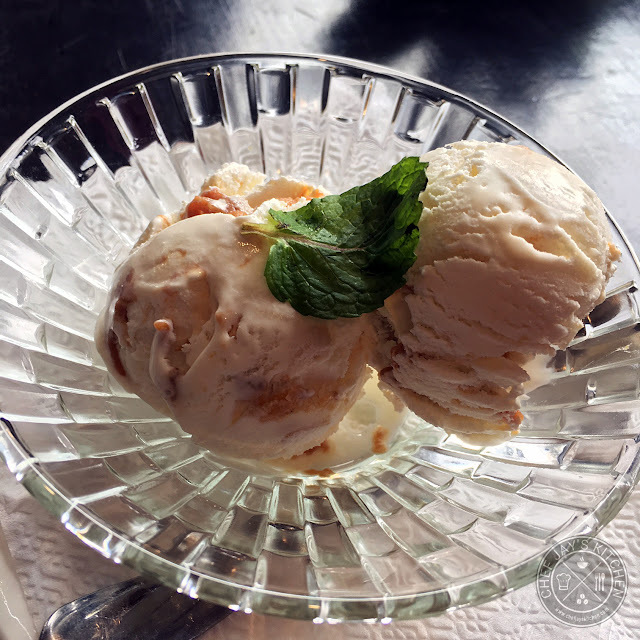 The Alfajor Ice Cream (Php 140) is made with the delicious Alfajor cookies from Good Shepherd in Baguio City. For those not familiar with Alfajor, it's a crumbly butter cookie sandwich with a sweet dulce de leche filling. It's a nice and sweet ice cream with a very unique flavor. Highly recommended! 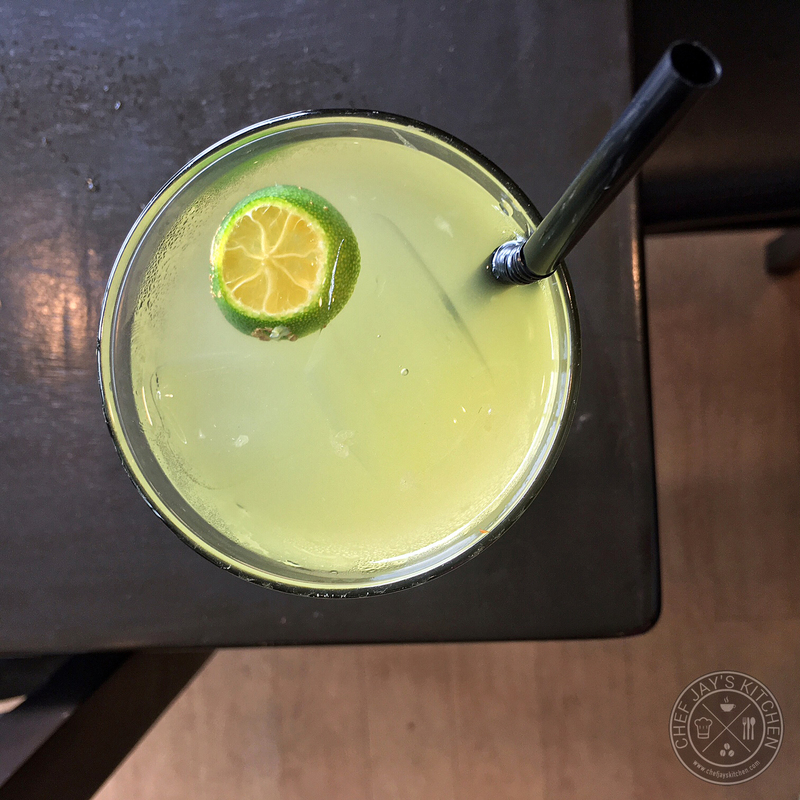 The Calamansi Juice (Php 50) was a refreshing drink since I had a bit of a cold when we dropped by Vittorio's. I like how you could really taste the calamansi in the juice - it's not watered down and it wasn't too sweet. 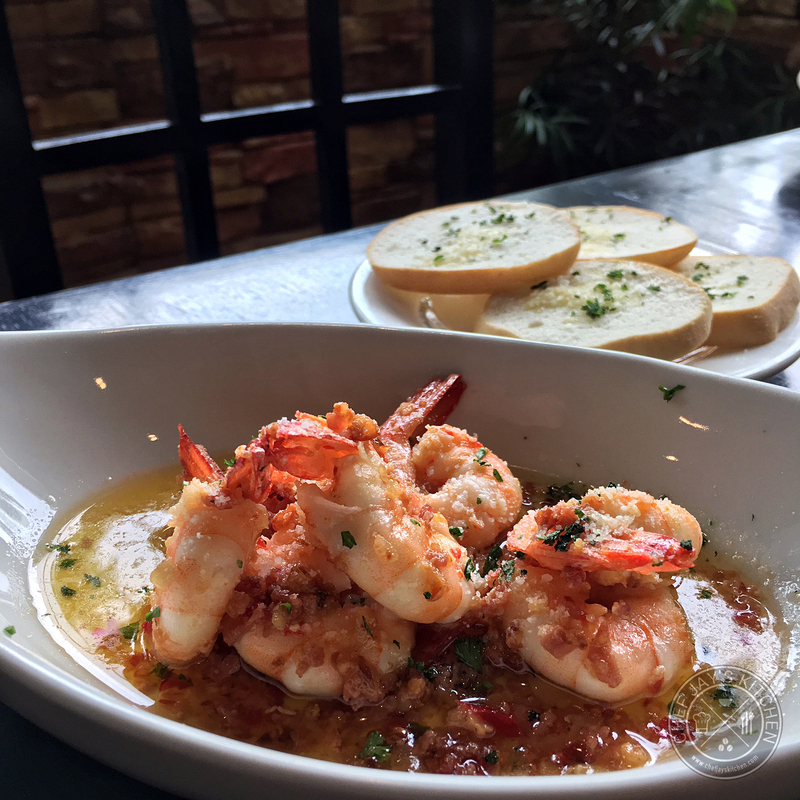 Vittorio's Steakhouse serves really good food that will leave you craving for your next visit. The best thing about it is that you're being served quality food at very reasonable prices. I would love to visit them again and enjoy another hefty serving of steak all for me. I envy everyone living near Tomas Morato because they can be regular customers here! Morganfield's Philippines: The Biggest, Juiciest, Fall-Off-The-Bone Pork Ribs Has Arrived!